Jewish Women’s Aid has reported a 40 percent increase in the number of Jewish women reporting domestic abuse in the UK, with 103 new cases in the first three months of the year. The shocking rise is partly explained by increased awareness, the charity’s bosses said this week, while the #MeToo movement emanating from the Harvey Weinstein scandal may also have boosted confidence in coming forward. 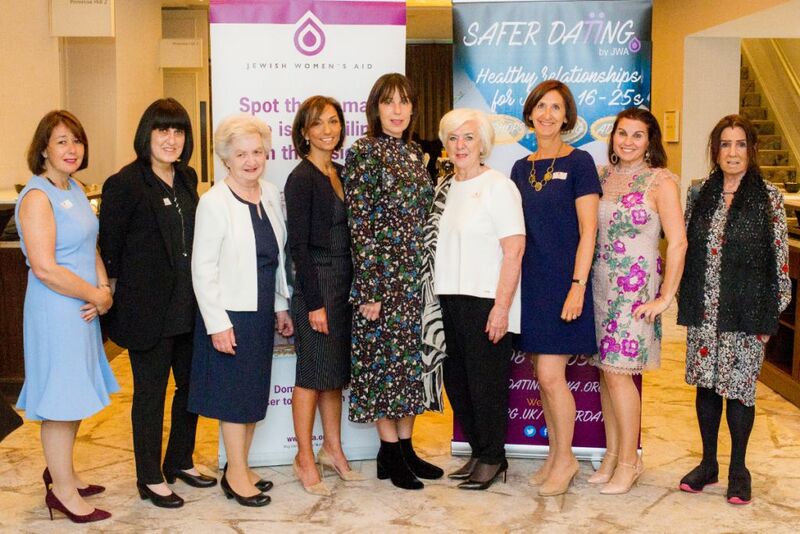 At its annual lunch on Thursday, JWA chief executive Naomi Dickson said there had been 103 new cases opened from January to March compared to an average 2017 quarterly average of 70 new cases. Dickson said there was “no evidence” that there was more abuse in the community, but that joint efforts together with the Board of Deputies to raise awareness among the big synagogue movements had helped women make the first call. The Board and JWA worked with the United Synagogue, the S&P (Sephardi) Community, the Movement for Reform Judaism, Masorti and Liberal Judaism. The charity said its 40 trained volunteers operating the helpline and case-workers providing advice and guidance were currently coping with the increased workload as they sought to reduce the risk and increase the safety of women and their children. Dickson said recent research showed that – on average – Jewish women in abusive relationships wait more than 12 years, suffering abuse on 35 occasions, before making their first call. She added that women’s increased confidence to do so earlier this year is partly attributable to the #MeToo movement. However, she told 250 supporters attending the lunch at London Marriott Regent’s Park that the charity’s advertising campaign and training and education programmes – while obviously having an effect – still cost money.